During this time of year in San Diego, there’s a common weather pattern dubbed “May Gray” — basically, clouds accumulate in the morning and burn off in the afternoon. 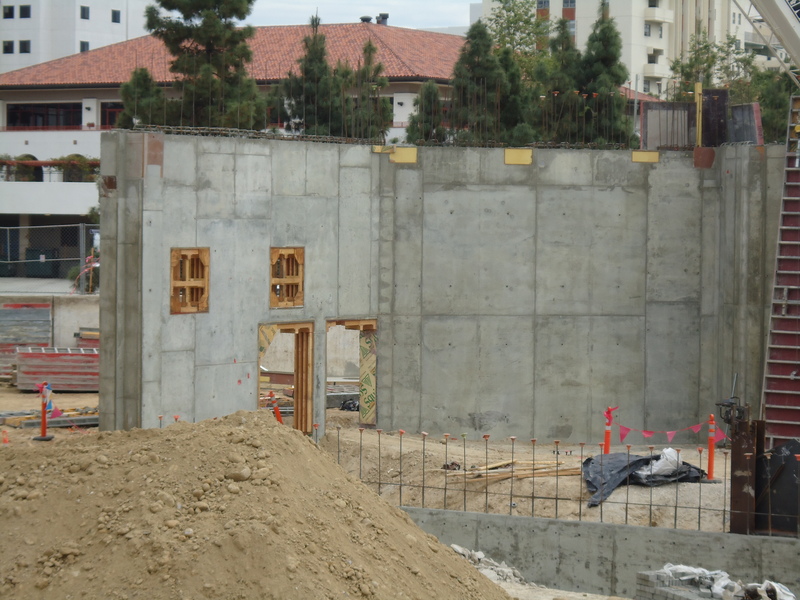 But, there’s another kind of May Gray going around on Montezuma Mesa, and that’s the continued concrete pours in Aztec Student Union. At this point, we’re up to wall pour No. 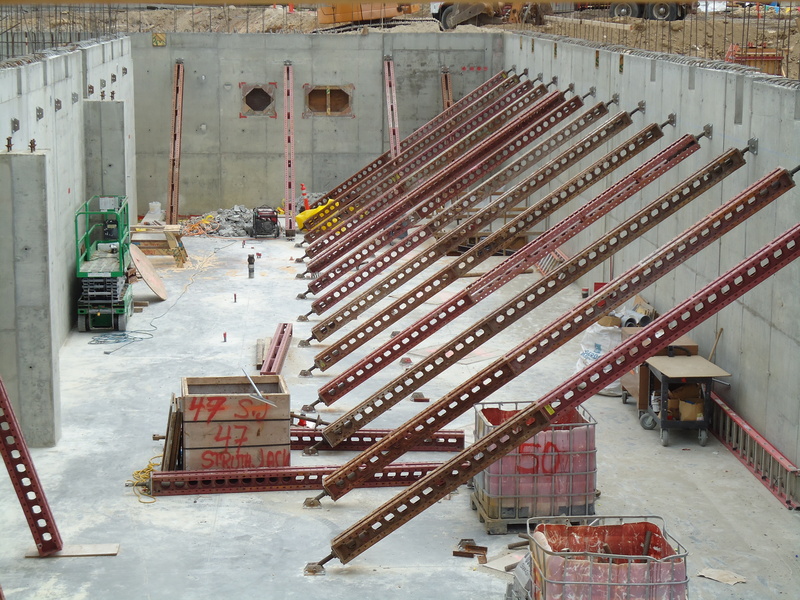 32 and pouring the footings, i.e., steps, in ground level staircases in some areas. The basement is really taking shape! Of course, there’s also walls to brace, which makes sure that the walls stay “plumb” or straight even as we put dirt in behind it, AKA backfill. If you’ve passed by W Lot on the west side of campus, you may have noticed increased construction traffic and a (relatively) smaller pile of dirt. These braces will stay in place for awhile, not only while we wait for the concrete to “cure,” or dry, but also to provide structural support until other building features are installed. And that’s your construction lesson for the day. Class dismissed!